Newsteo, a forerunner of the Industrial Internet of Things (IIoT), a French designer and manufacturer of connected sensors, markets a range of radio data loggers to turn any sensor into wireless sensor. Gefran is a leader in automation components and industrial process control systems. 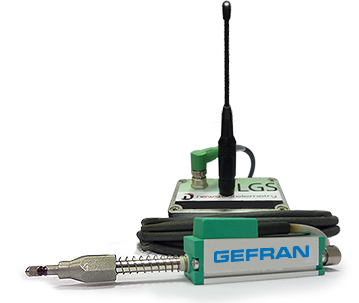 Since 2010, the two companies have been collaborating to offer their clients wireless communicating extensometers or crackmeters, with Gefran providing the sensor part and Newsteo providing the long-range radio transmission part. The connected extensometer takes the measurement and sends it in real time to the Newsteo Cloud. Thanks to this remote supervision and the high battery-life of the systems (more than 5 years), on-site trips are no longer necessary. « We provide our customers with a ready-to-use solution with the extensometer directly connected to the Newsteo communicating data logger » adds Philippe Guènebaud, Président de Newsteo.